Cologne, Germany is a magnet for fans of Christmas markets. It’s one of the most-visited Advent season celebrations anywhere, located in seven venues spread across the city, and finding your way can be a daunting prospect. 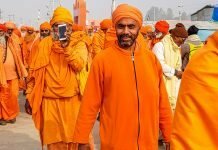 This year, I had an opportunity to be in town for opening day, before crowds arrived in their thousands, and over several days, managed to visit all seven markets. 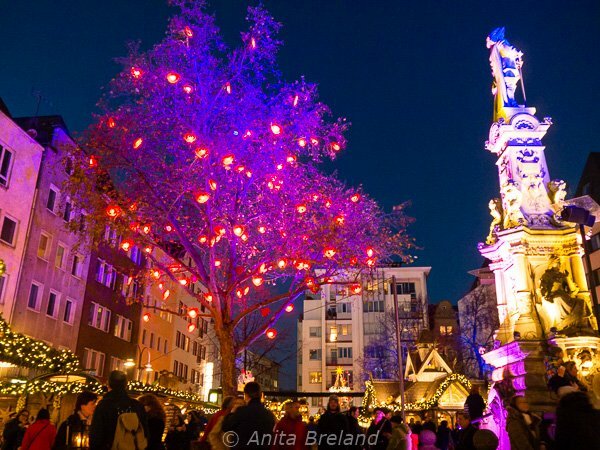 It was a glorious start to a Rhineland Christmas season in this vibrant metropolis with a 2,000-year history. 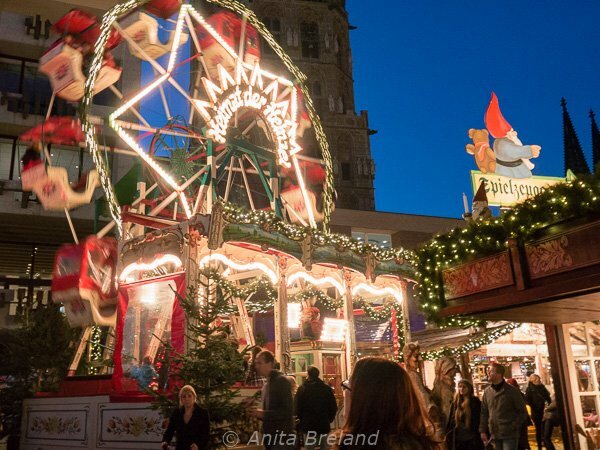 It’s impossible to do justice to Cologne’s varied Christmas markets in one go. So, here in Part I, are introductions to the markets nearest the Cathedral, the Town Hall and the Rhine. 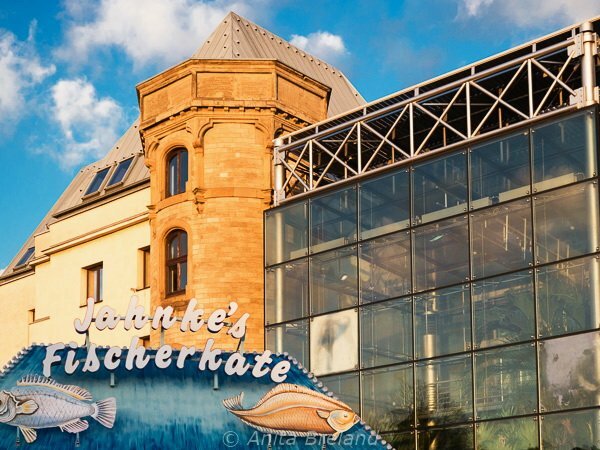 For visitors arriving by train with Deutsche Bahn, these are also the three markets nearest to the central train station. 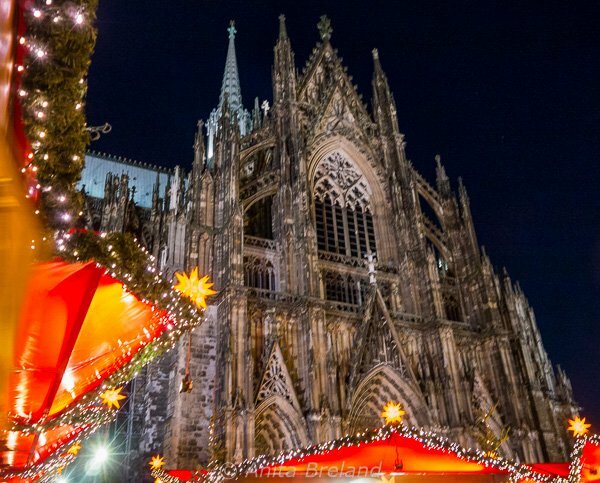 The Christmas market at the Cologne Cathedral is said to be Germany’s most popular Christmas market. The setting is certainly dramatic! 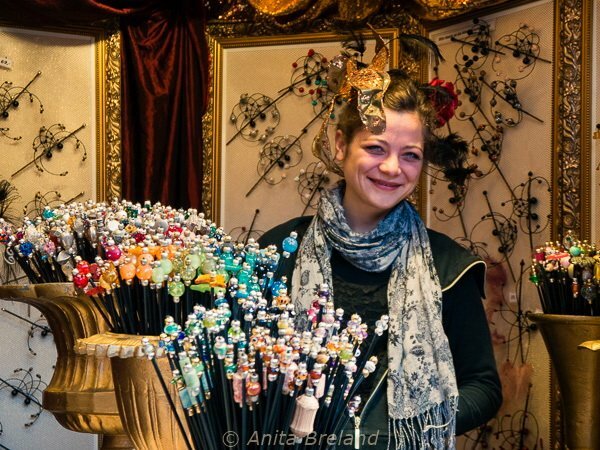 More than 160 stall-holders present sophisticated and up-market handicrafts and culinary delights on Roncalliplatz. At this stall, “hair acrobats” are ready to help shoppers try intriguing creations. Gift items on offer at the Cologne Cathedral market. 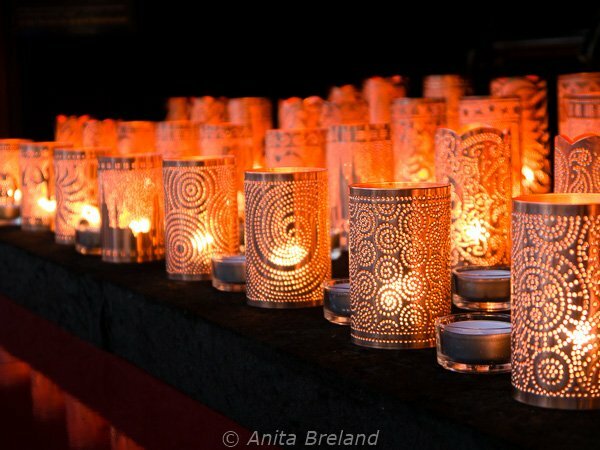 Lights, color, cinnamon and apples! A stall selling apple strudel with flair and marvelous aromas. Cologne Cathedral looms over the Christmas market at Roncalliplatz. In the run-up to Christmas Eve, this market will be just about impossible to navigate at weekends. 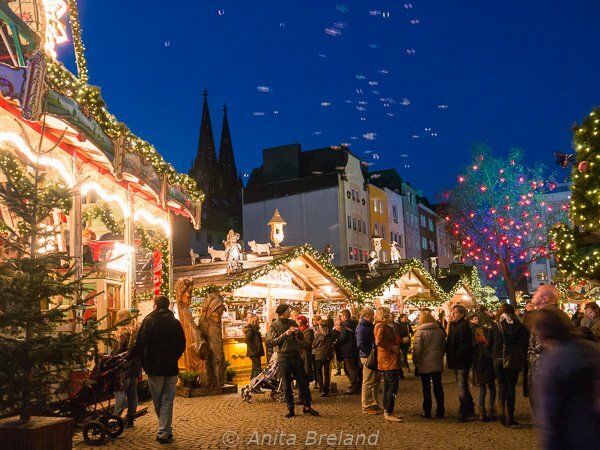 Every year, hundreds of Heinzelmännchen (elves), bring a fairy-tale atmosphere to Cologne’s Heumarkt square and the Heimat der Heinzel, or “Home of the elves” market. It’s an over-the-top, outsized salute to winter pursuits, from mulled wine to ice-skating. 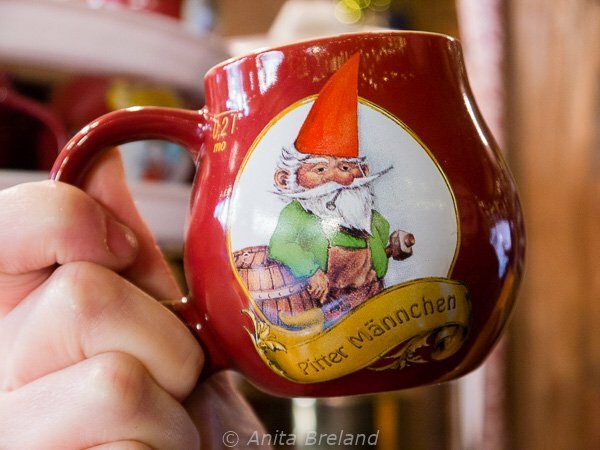 The Heinzelmännchen come from a Cologne legend, and many locals say this is their favorite market. The “Home of the elves” market is within sight of the Cathedral market, its fairy-tale atmosphere popular with locals and visitors alike. At Cologne’s “Home of the elves” market, friends meet beneath a tree festooned with glowing red hearts. Central to the enchanted atmosphere is a spectacular ice rink, with skaters gliding around the entire square, and past curling alleys and chalets selling all sorts of edibles. The curling alleys see plenty of action at Cologne’s Heumarkt Square. “Home of the elves” is divided into “lanes” specializing in handicrafts, sweets, antiques, foodstuffs and more. This old-fashioned ferris wheel at the end of “Toy Lane” in the Elves’ Market may be small, but it offers a fast spin. This Christmas-market-on-the-water is set against a picturesque backdrop directly on the Rhine, its white pagoda tents reminiscent of ships’ sails. 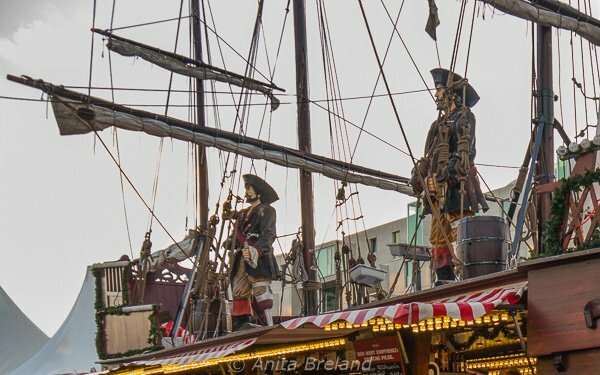 Stalls sell gift items from exotic lands, and an outstanding vintner’s mulled wine is served on board a large timber sailing vessel. 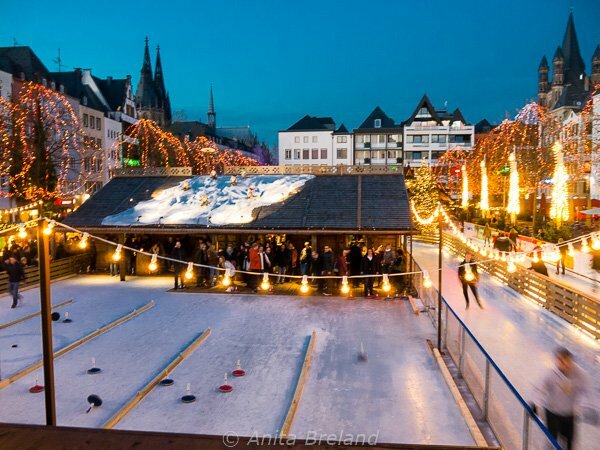 The Cologne Harbour Christmas market is directly in front of the city’s Chocolate Museum. A winning combination! At Cologne Harbour Christmas market, an outstanding vintner’s mulled wine is served on board a large timber sailing vessel. The KölnCard makes it a snap to explore Cologne’s Christmas markets using public transport (and make repeat visits to your favorites). 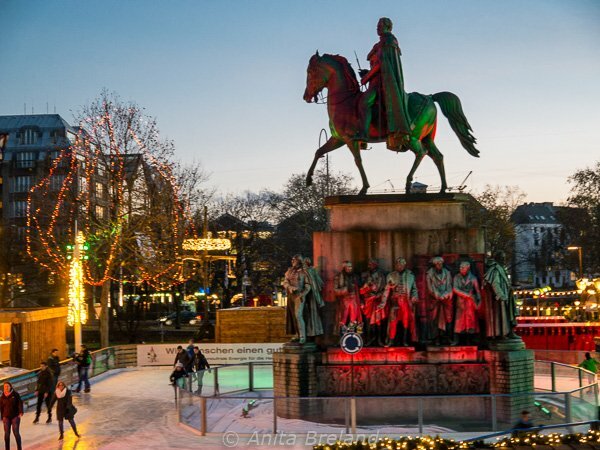 With the Christmas-Market-Express, visitors can sample four of the markets, and take a ride through the streets of the old city. 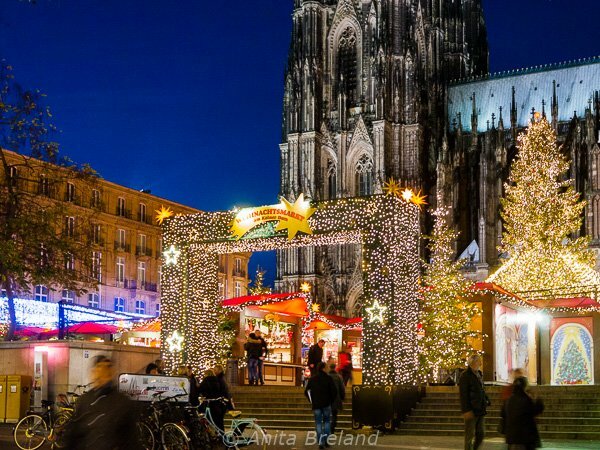 Festive Christmas concerts, atmospheric boats trips along the Rhine during advent and nativity tours also offer the perfect build-up to Christmas. The city’s motto for 2014, Holy Cologne, celebrates the arrival, 850 years ago, of the bones of the Magi in Cologne. This year, take a time out from Christmas markets to visit the stunning exhibition, The Magi. Legend, Art and Culture, at Museum Schnütgen. Many thanks to KölnTourismus and city guide Ute for helping me experience Cologne’s Christmas market scene, and to Deutsche Bahn for bringing me to the Rhineland! Great accommodation in Cologne was provided by Hostel Köln. To see all our travel stories from Germany, click here. To see all of our Christmas stories, click here. 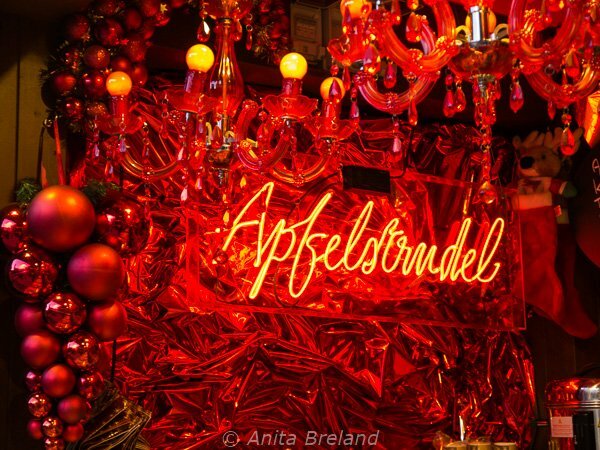 Basel’s Christmas market-Tis the season!